As witnessed during the 2015 Paris Climate Conference, Sri Lanka has pledged to move towards a fossil free path in development. Contrarily, Sri Lanka is currently focusing on establishing the second coal power plant in Sampur, Trincomalee; a natural harbour and a strategic location rich in marine bio diversity. 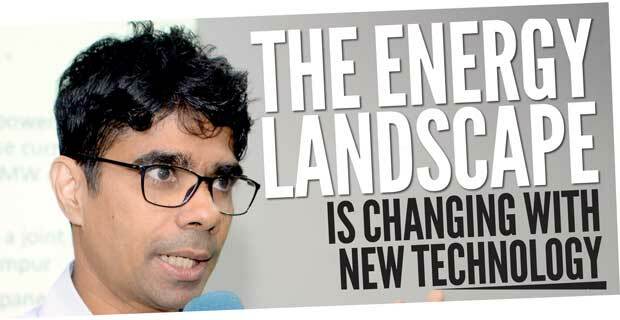 In an era when many developed countries are resorting to be investing in renewable energy, Energy and Environment Specialist Vidhura Ralapanawe suggests that Sri Lanka also should approach similar alternatives instead of depending on coal for energy production. 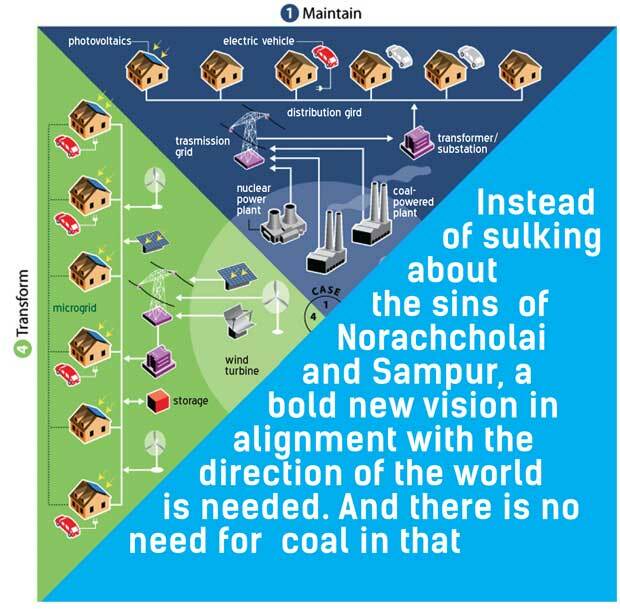 Speaking to the Daily Mirror, Ralapanawe shared his views regarding the impending environmental threats of the proposed 500 MW coal power plant that is planned to be built in Sampur, CEB’s coal centred strategy and what a different energy development trajectory may look like. QDo you think that Sri Lanka is in need of another coal power plant? Coal power is a technology and a fuel of the past. The world is rapidly shifting away from coal to produce electricity. People have realised that coal is ‘a dirty fuel source’, that pollutes air and water even with the world’s best control mechanisms. Secondly, rapidly developed technology has made alternatives cheaper and competitive even financially. Unfortunately, CEB’s 2015 generation plan aims to build coal power plants around the country totaling 3300 MW. They have planned to build a coal power plant even in 2034. This is contrary to the government’s own pledge to be 100% sufficient in renewable energy by 2030 and our commitment in Paris 2015. QClimate change is the most significant challenge for both humans and the planetary ecosystem. Do you think it is advisable for Sri Lanka to generate electricity using the most carbon intensive fuel? We have seen how global warming coupled with El Nino wreaked havoc in the weather and the heat wave we experienced from February. Many parts in the country recorded temperatures of over 40 degrees Celsius. Sea surface temperature around Sri Lanka went past 31 degress. This impacted agriculture based industries leading to misery for both people and animals. Mitigating climate change is humanity’s biggest collective endeavour. We seem to be thinking this is someone else’s problem and marching away from the direction the whole world is moving. To have cleaner energy we don’t really need to pay more. Renewables are rapidly becoming cheaper so is commercial battery storage. Liquified Natural Gas (LNG) is cheaper and is a good alternative. QIn your opinion, how expensive is ‘cheap’ electricity generated from Sampur? We are being told we need coal because it is cheap. The question we need to ask ourselves is how expensive is ‘cheap’? The Power Purchase Agreement has been signed without disclosing the rate. We have been made to understand the unit cost of electricity from this plant is over Rs. 18.00. The average rate at which electricity is sold in Sri Lanka is Rs. 15.00 with off peak rates as low as Rs 7.00. Buying electricity from Sampur will increase everyone’s electricity bill. This is a dollar contract and every time the value of the rupee goes down, the cost in rupees will increase. The irony is that renewables, which are claimed as expensive by the CEB, are all contracted in rupees which will remain the same. In this scenario what is cheap is not what is contracted in dollars. Additionally, it should be noted that this cost is derived by passing significant costs to the government. The costs of construction of a coal unloading jetty, a conveyor system for coal transportation, transmission line and basic infrastructure have to be borne by the government. Moreover, the actual demand for electricity is in the Western Province although the power plant is going to be constructed in Trincomalee. Thus a need will arise to bring the power all the way from Trincomalee to the main substation in Veyangoda. Government has to borrow separately to build this power line. Assume that all the coal power plant components are shipped to the Trincomalee Harbour and transported to the Sampur plant. The existing roads and bridges are not sufficient. A massive infrastructure upgrade is a prerequisite if the Sampur coal power plant is to be constructed. When he held the power and energy portfolio, Minister Champika Ranawaka used to say that the power plant cost was one third of the total project cost. When all of these costs are added, the real cost for a unit of electricity in Sampur is likely to be close to Rs 28.00. The CEB is expected to create the cheapest electricity generation plan, and such a low cost should be that to the economy. not the CEB. Taking the above into consideration, it is ironical that we brand this venture as a process to produce cheap electricity. Like Norachcholai, we will be straddled with an expensive, polluting power plant. QMany environmentalists have raised concern over the ecological impacts of the Sampur coal power plant. 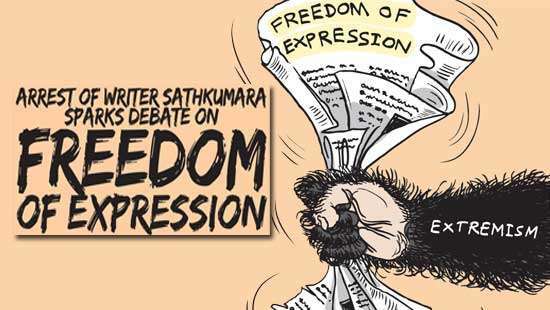 Do you think it will harm the bio-diversity in Trincomalee? From an ecological point of view, do you think that anyone would agree to install a coal power plant in the Sinharaja rain forest?In terms of marine ecology, Trincomalee is equivalent to the Sinharaja rain forest. The CEB is only concerned about a location where ships could unload coal throughout the year; the main reason behind why a coal power plant is going to be constructed in Trincomalee. Marine ecological considerations have been overlooked. There are eight types of whales and dolphins who are seen in the Trincomalee Bay, the only place in Sri Lanka where a free diver can encounter deep sea fish. There are corals, giant clams, brilliant reef fish, other endangered species and according to NARA, even unknown of species. This environment is already under stress from climate change with sea temperatures reaching over 31 degrees Celsius last month. Monsoon wind patterns suggest that heavy metals emitted from Sampur and Norachcholai will add to the existing stress in the North Central Province. these metals are suspected to be one of the causes of chronic kidney disease devastating the lives and livelihoods of people. This is more than a human problem, we must also ask about what is happening to the frog, fish, stork and the mongoose. Sampur is such a bad location for coal, because during the N/E monsoon when humidity reacts with gases, acidic rainwater will be blown across the North Central Province and even to central mountains. The plant will emit high amounts of mercury, which will be released to the atmosphere and part to the sea, even poisoning the fish. I feel very sad and betrayed we have chosen one of the most valuable and ecologically sensitive areas for this coal venture. It should be stopped immediately. QEarlier, you mentioned that Liquefied Natural Gas (LNG) is a better and cheaper alternative for coal. Why? The future of Sri Lankan energy generation can and should be fully based on renewables. However, for current needs, Sri Lanka can use liquefied natural gas (LNG) instead of coal. 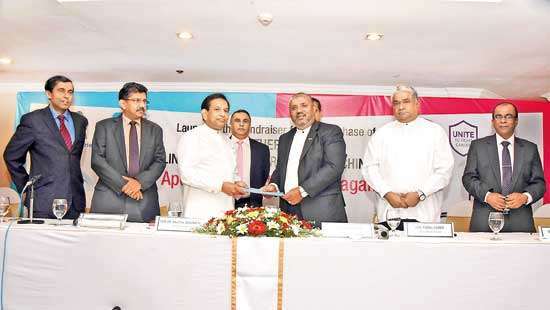 In the case of LNG, a terminal and a power plant can be constructed close to Kerawalapitiya in the Western Province. From a combustion point of view, LNG is the most environmental friendly of fossil fuels. It has a minimum level of impurities unlike in coal and emits less carbon. It also requires significantly less space. Both Kelanitissa and Kerawalapitiya power plants are running on diesel which is very expensive. However, these plants can be easily converted into LNG power plants which will dramatically reduce their cost. If we want to follow the lead of New Delhi, we can also convert our bus fleet to LNG and reduce the diesel pollution from the streets. QWhat is your opinion of the CEB power generation planning method? The CEB generation planning process is outdated and erroneous. The plan itself notes that all previous plans made by the CEB include significantly overestimated demand. According to the last Long Term Electricity Generation Expansion Plan, GDP projections are available only until 2018 although the plan is for until 2034. This is problematic as we are planning massive infrastructure investments based on economic growth assumptions made by CEB engineers and not economists. These assumptions have not been put out by them for experts to independently verify and validate. The two unexplained ‘bumps’ on the peak demand growth on the plan increases the peak demand by 650 MW, even larger than the Sampur capacity. This is not the level of rigour we need to back up multi-million dollar investments. If we build and the demand is not there, the country suffers economically. The bump they predicted for 2015 did not materialise! The CEB generation planning methodology has to also account for social and environmental costs. They currently use an unreasonably low number based on a very old study which is based on the 1993 GDP of India and China to justify the low cost. If they use a value that is representative, there will only be LNG plants in their generation plan, not coal. We haven’t looked at demand management seriously. Our approach should be to first ask is this demand inevitable or can we reduce this. Reducing it helps us avoid building costly power plants, and especially in the case of peak demand, power plants that only run for a short time of the day. India is giving away 700 Million LED lamps at subsidised cost to households in four years, dramatically reducing power demand. It saves money for the people as well as the power company and the government. 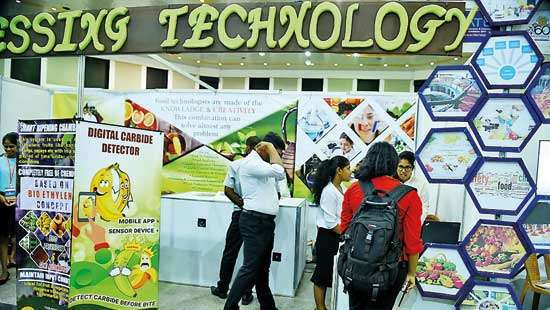 QDo you think that the advancement in technology will facilitate Sri Lanka with better prospects of producing energy with viable alternatives such as LNG and solar power? A significant shift is happening in the power sector. Earlier what we had was a centralised control. Hence, there were large central power plants, big transmission lines, substations and distribution lines that provided energy to consumers. However, in the future the definition of who is the consumer and who is the generator will be fluid, unlike in the past. Imagine a future when everyone having solar panels installed in their house or facility. As a result, more energy will be generated than the required amount during the day but this generated excess electricity has to be stored and used in the night. To meet this challenge, we can use utility scale battery storage, which is rapidly becoming commercially viable. Tesla is releasing their commercial battery storage in 2017, which has a payback of 7 years at current utility costs. But there isn’t a single mention of the word ‘battery storage’ anywhere in the Long Term Generation Plan of the CEB which looks at a horizon of 20 years. By the time Sampur power plant is built, solar with storage will be so much cheaper, we will be saddled with an expensive polluting power plant that will be a huge economic burden. These are called stranded assets. Even the governor of the Bank of England has advised British banks to not to lend for coal power plants due to this risk. People are going to continue to invest in solar and this will be inevitable in the future. There has to be multiple sources of energy, including wind, biomass, energy storage, LNG among others. Sri Lanka has many deep ocean canyons ideally suited for Ocean Thermal Electricity (OTEC) , including Trincomalee. We are an energy rich country, and new sources are becoming increasingly viable. This is an exciting time with the energy landscape changing rapidly with the emergence of new technology. We are too busy sulking about the sins of the past such as Norachcholai, and the errors in front of our eyes, such as Sampur. We need a bold new vision in alignment with the direction of the world, yet distinctly our own. And there is no need for coal in that. The order of the efficiency and cost in producing electrical energy from hydrocarbons increases with the type coal, oil and gas. The cleaner environment surrounding the plant can be archived using oil and gas but they too had caused the similar effect of coal else where at the refining stage in terms of globally, so the impact on the environment in terms of globally is almost same from coal, oil and gas.